Can Ukip bloom into a serious political force? After spending last Saturday at the Green Party conference in Brighton, I stayed closer to home this week and popped along to Westminster for the second day of Ukip's get together. Alas, I missed the Bloom fireworks of Friday, but did manage to speak lots of Ukip members. 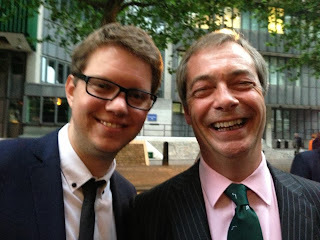 Read my interview with Nigel Farage. And here is my opinion piece for the Express Online. 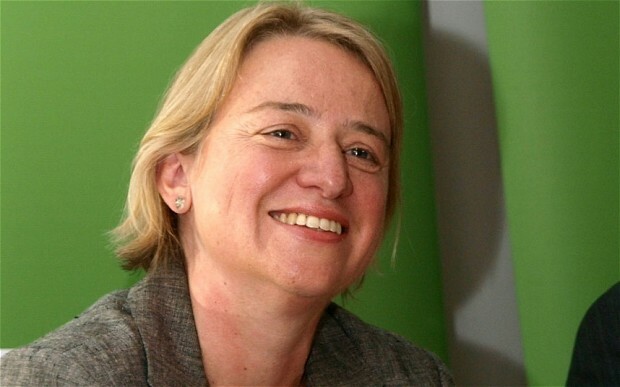 Why isn't The Green Party the Ukip of the Left? RENATIONALISING the railways, keeping the NHS in public hands, free social care for the elderly, free school meals, an increase in child benefit. All Green Party policies which should appeal to the Left in Britain – the section of society which frequently complains of being ignored by the Labour Party. So why aren’t former Labour voters flocking to the Green Party in droves? When the Right felt disengaged with the Conservatives, they turned to Ukip. Here was a party which talked about, and took strong, clear, positions, on issues which former Tory voters cared: Europe and immigration, mainly. Is there a more powerful politician on the UK political scene right now than Nigel Farage? Without a single representative in the House of Commons he managed to get one of his key policies – an in/out referendum on EU membership – on the statute books. So why isn’t the Green Party seen as the Left wing equivalent? Why isn’t it able to force the Labour leadership to embrace some of its ideas on public ownership or social responsibility? This question was put to Green Party members yesterday at their conference in Brighton, not by a journalist looking to stir things up, but by its own leadership. With policies which tie in so completely with some of the ideals of the Left, why haven’t they broken through like Ukip have? Well, in some ways, they have done better. The Green’s have an MP – Caroline Lucas from Brighton – and Ukip do not. Greens control Brighton and Hove Council which has an annual budget of more than £200million. Ukip control Ramsey Town Council – budget around £160,000. But Ukip are more powerful. At the debate session, members talked about the popularity of Farage (“If he was run over by a bus tomorrow Ukip would be over,” one member argued) while others said Ukip were better at photo opportunities. There was some agreement among members that the Greens had too many policies in too much detail. Ukip are seen as vague about some issues, but people know what the party stands for. It is true. Ukip, and Farage, have done a brilliant PR job. Even if you have never heard a policy line from them, you can work out what it would be. Banning advertising to children? Too nanny state. War in Syria? Not our fight. Foreign aid? Cut it, keep the money in Britain. Perhaps the Green’s need to work harder on getting their values across instead of their policies. But one of the big problems – and one which was whispered by some senior members of the party to me – is the reputation the Green’s already have. You may have seen the pictures of the protests against fracking in Balcombe, West Sussex. And if you haven’t, I’m sure you can imagine what they looked like. ‘Hippy’ types, with ponchos, face paint and dreadlocks, sitting in drum circles eating vegan wraps. That is the image of Green supporters, and be that fair or unfair, the Party doesn’t help itself by aligning itself with such people in the minds of the public. Also, as one member pointed out, the Party is seen as the ‘anti-party’ – anti-fracking, anti-cars, anti-flights, anti-Page 3. People don’t like constantly being told what they shouldn’t be doing. But if the Green Party can instead put the emphasis on being a pro-party (pro-cheaper energy, pro-NHS, pro-social care, pro-public ownership), they might just be able to attract the disaffected Left in sufficient numbers to begin setting the agenda in the same way Ukip has. And that is something else Ed Miliband may have to be worried about.